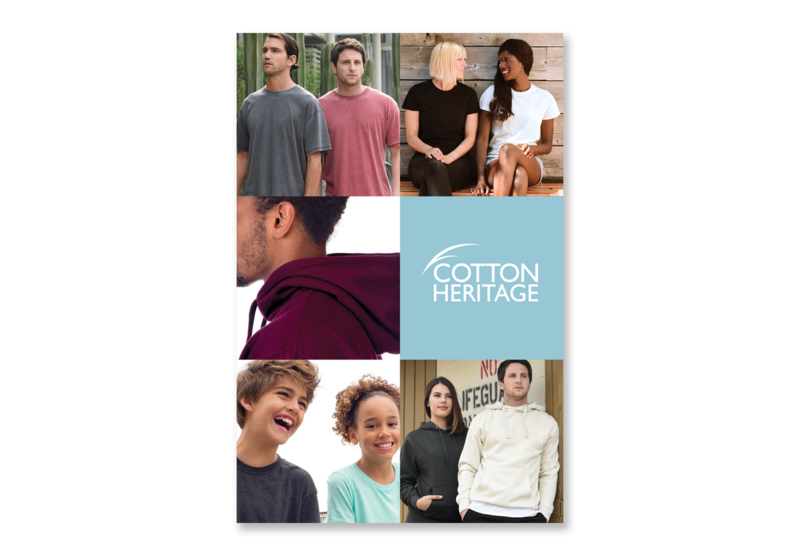 Since 1982, Cotton Heritage has been the premier blanks provider for the apparel industry. 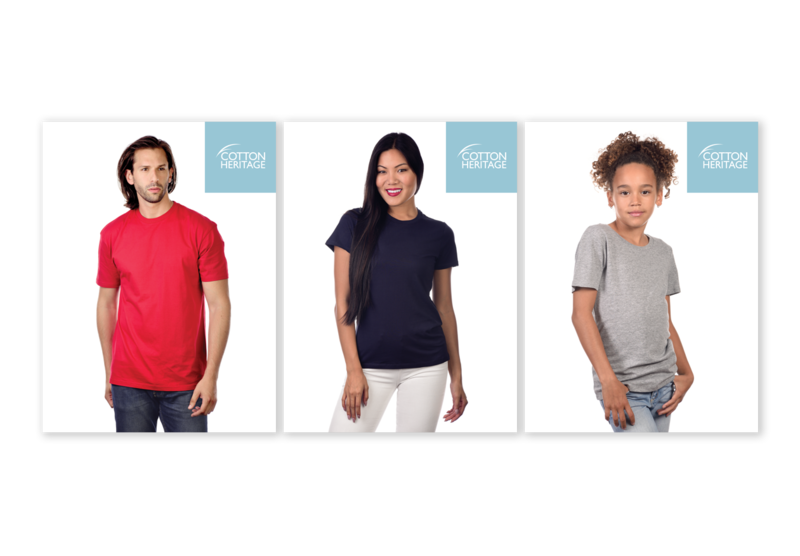 Their products are manufactured using combed, ultra soft ring-spun cotton for unbelievable comfort. 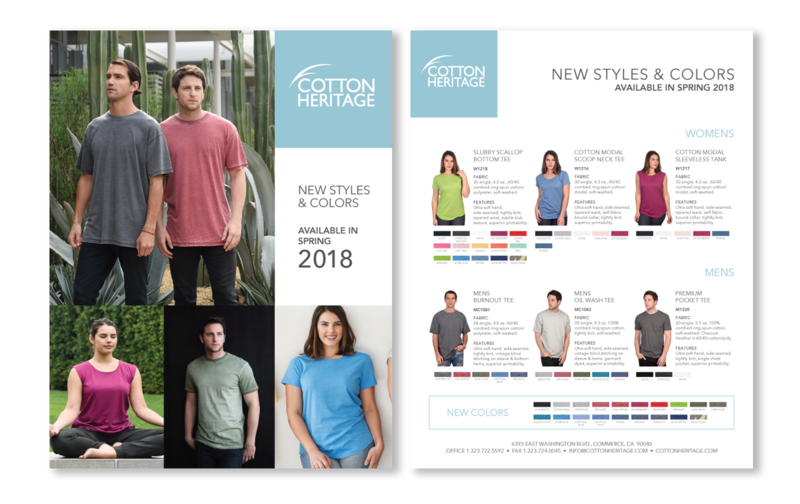 Their t-shirts, tanks, hoodies, and joggers offer superior printability and a smoother surface created by their unique enzyme wash.
After thirty-five years of building a presence in the marketplace, Cotton Heritage was ready to rebrand and increase its marketing profile. They hired me as the Director of Marketing and Creative to rebrand the company and project a cleaner, softer modern appeal. 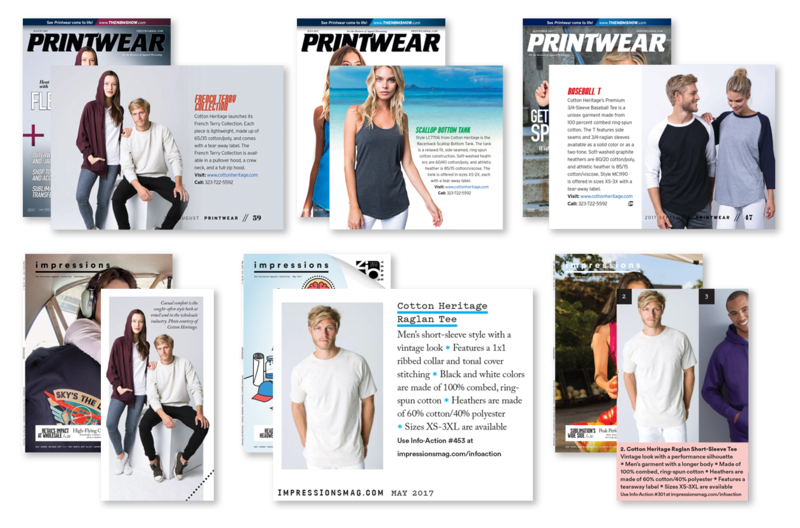 I was also charged with developing and implementing an aggressive marketing plan which covered 360 degrees of coverage via print, digital, social, and experiential. 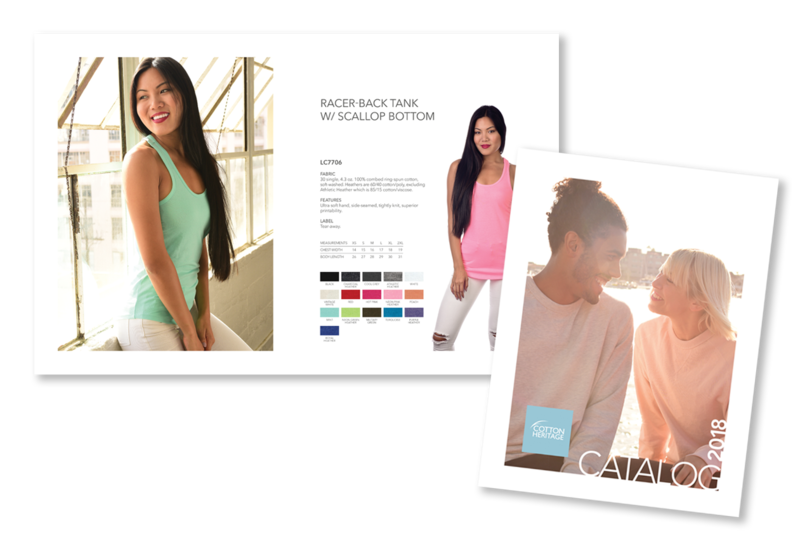 I hit the ground running, rewriting and correcting oversights in the 2017 catalog as well as their website and trade show materials just a week before printing and three weeks before three major industry trade events. 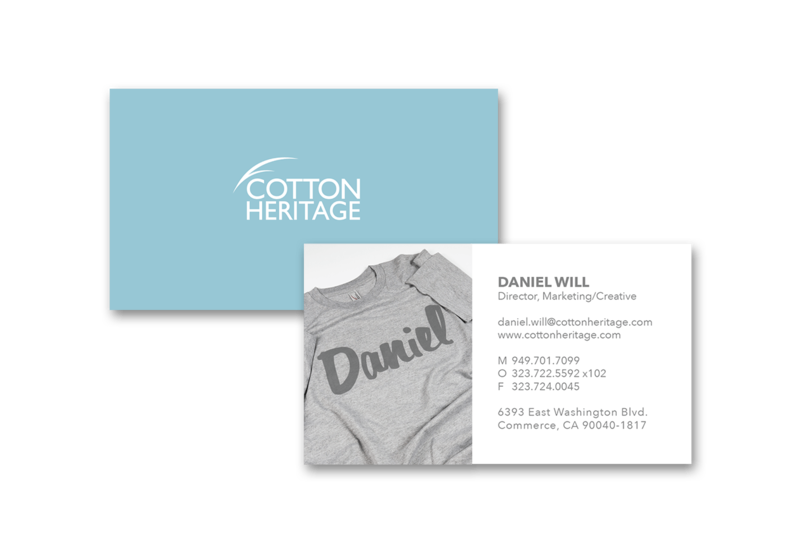 I set the creative conceptual tone for the new rebranding effort while managing and working beside my team to manage the projects and bring the new brand to life. 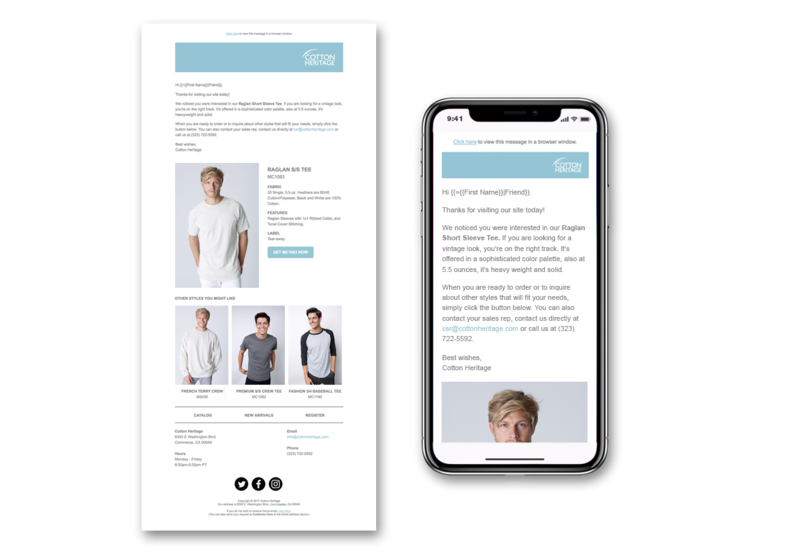 I hand-coded HTML and CSS updating the product content on the ERP hosted website as well as email blasts and email signatures. 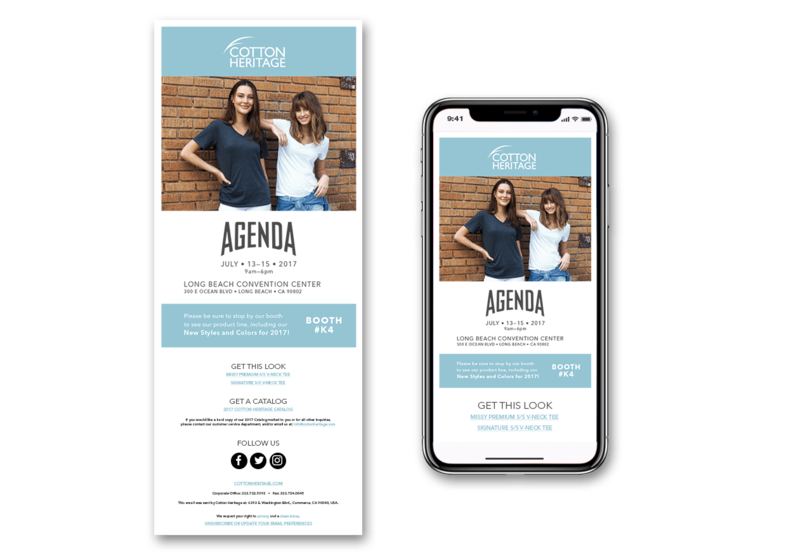 I developed a new marketing plan which increased overall exposure 724% for the year as well as retooled the email marketing efforts to turn around a 0.2% read rate into a 34% read rate. 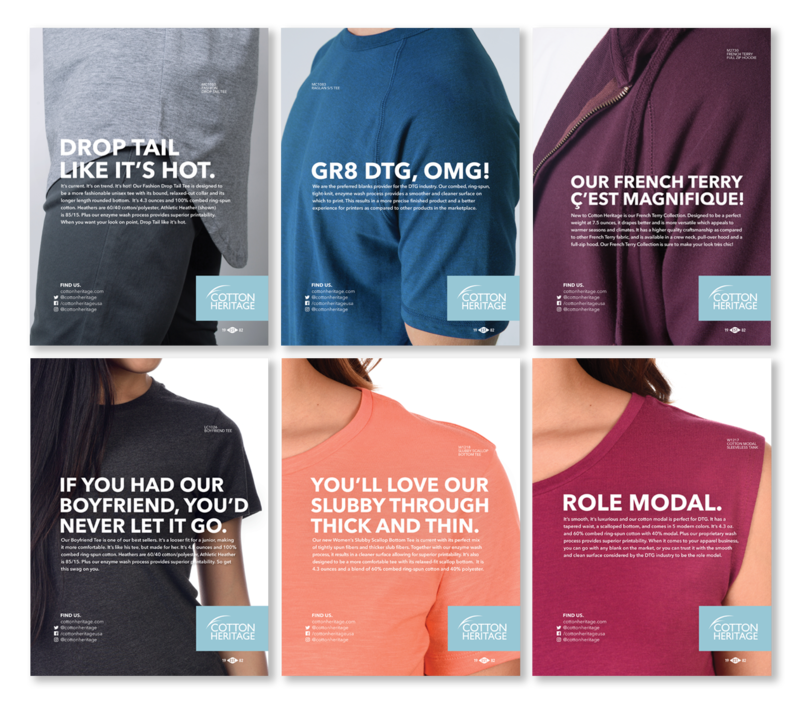 I also developed a behavioral triggered email campaign which showed a 77% open rate in just 2 months. 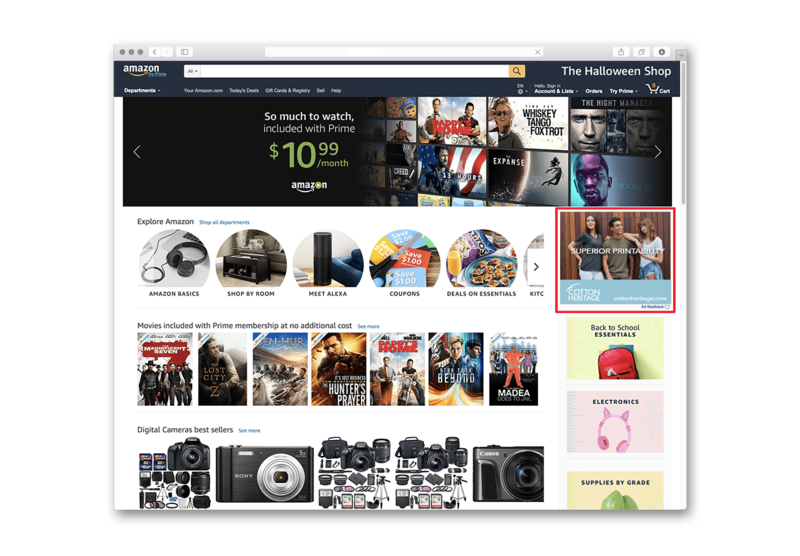 Additionally, I launched a digital retargeting campaign which garnered 35,000 targeted impressions a month across the internet. 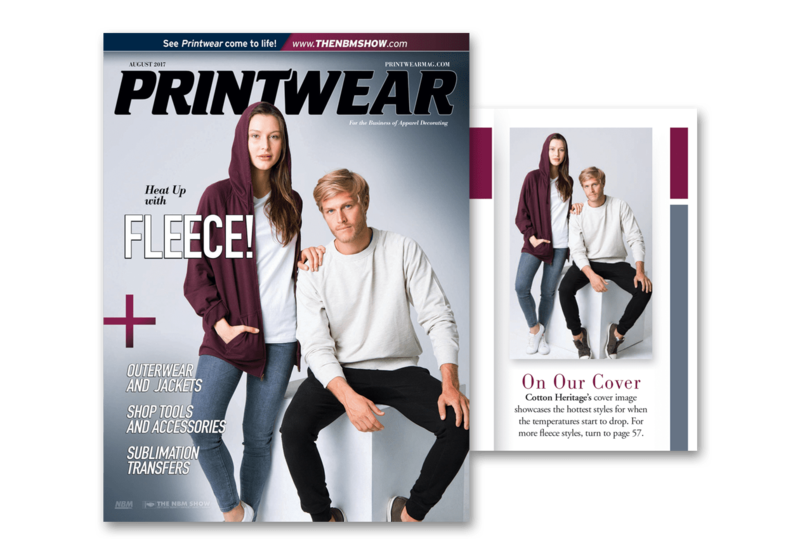 I fostered valuable relationships with the top industry publication editors which resulted in being featured in every issue of all major publications since I joined the company and I was able to secure the first ever cover of Printwear Magazine in Cotton Heritage’s 35-year history. Ultimately, I elevated the brand, reduced costs, increased value for the company while maintaining a positive group dynamic not only in my department but throughout the company.